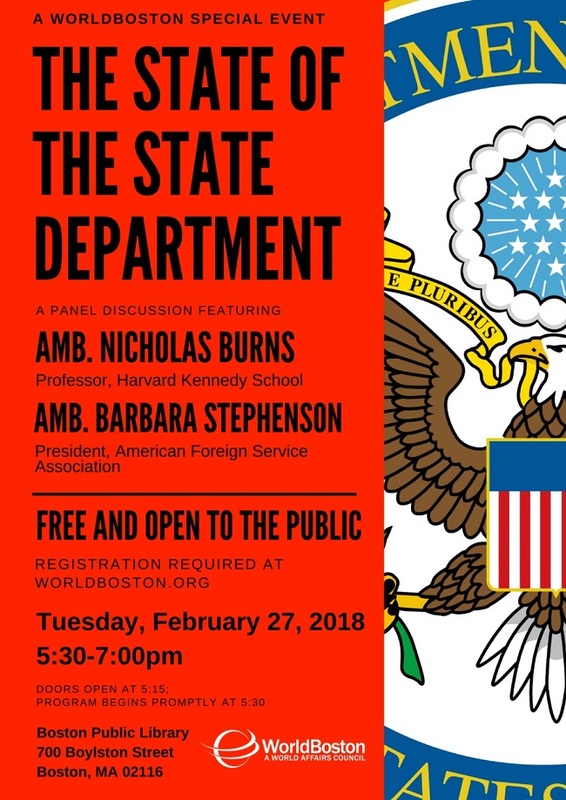 Please join us for a panel discussion with Ambassador Nicholas Burns and Ambassador Barbara Stephenson as they tackle the implications of the current political climate on the State Department. Members are encouraged to register early as tickets may be limited. We will be meeting outside the event entrance at 5:10pm. Chapter leaders will be wearing LSE insignia. Attendees are welcome to continue the discussion with fellow alumni at the Globe Bar & Café following the event. This is a WorldBoston event.